"Serving California Consumers For Over 20 Years"
Jeep model vehicles (Cherokee, Wrangler, Compass) are having an array of transmission and engine problems. The transmission problems include, but are not limited to – lack of power, poor shift quality, complete transmission failure, etc. The engine problems include, but are not limited to – oil leaks; poor engine performance; lack of power; etc. FCA US LLC has issued several technical service bulletins to address many of these transmission and engine problems. Often, the suggested repairs in these bulletins are ineffective. If you are having problems with your Jeep vehicle and purchased the vehicle in California, you may have a California Lemon Law case and may be entitled to remedies under the California Lemon Law. 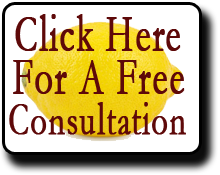 If you would like a free consultation to determine whether you have rights under the California Lemon Law, please give us a call at (866) 360-6886 or e-mail us at info@davidjfarrell.com.